In the world of orthopedic medicine, there are two syndromes that have become increasingly common in modern life due to the nature of our jobs. 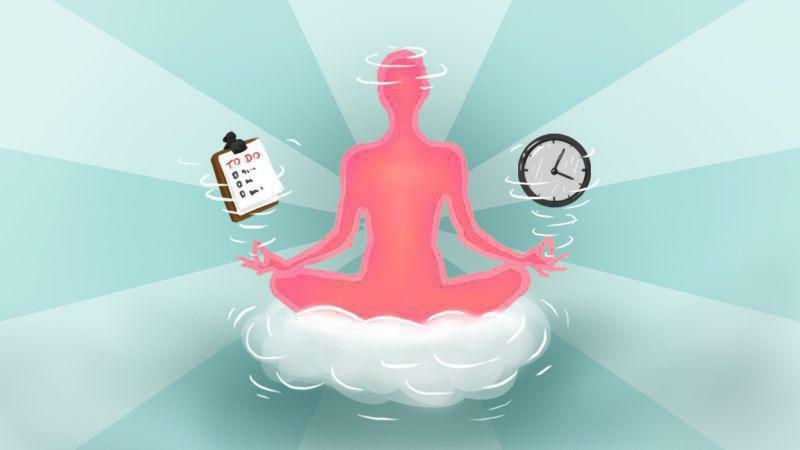 Specifically, if you spend a good portion of your work day sitting at a desk, you are at risk of developing one or both these syndromes. Upper Crossed Syndrome creates muscular and skeletal distortions in the upper part of the body (neck, chest, back & shoulders), while Lower Crossed Syndrome distorts the lower body (hips, glutes, back, and thighs). Let’s explore how these syndromes impact the body. Doing computer work while sitting at a desk creates an unnatural position where the head and neck extend forward. The shoulders curve inward to maintain this position. Over time, the following changes occur. The normal position of the head is for it to be in perfect alignment with the shoulders. A quick way to test your posture is to view the body from the side (enlist a friend to help or have someone photograph you from the side). The ear hole should be in line with the top of the shoulder. If it is in front of the shoulder, it is misaligned. 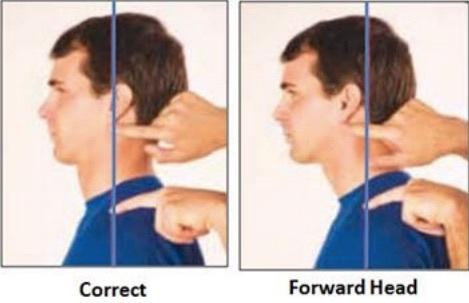 This is known as forwarding head posture. Furthermore, for each degree that the head extends ahead of the shoulder, its normal weight of 11 pounds can feel 2 to 4 times heavier! This creates a tremendous strain on the neck and other structures, forcing them to support much more weight than they were designed to. As you lean forward to do your work, the muscles in the front of your neck become shortened, while the muscles in the back lengthen. Over time they become somewhat fixed in these positions and fail to return to their normal lengths. This results in an unnatural pull on the skull, vertebrae and collar bone, causing the head to jut forward, and the shoulders roll inward. Chest muscles are also shortened in this position - further exacerbating the forward head posture, and even impacting breathing by restricting the movement of the ribs. Meanwhile, in the back, we have the upper muscles working overtime to support the [increasingly heavier] head while the middle back is overstretched to the point where it becomes weak and unceasingly achy.